Million dollar views of the Washington Chanel from this chic studio apartment. Experience the good life in this fabulous, dynamic, waterfront location in close proximity to shopping, great restaurants, Arena Stage, and DC's newest sports complexes. No need for a car - bus and metro are at your door. 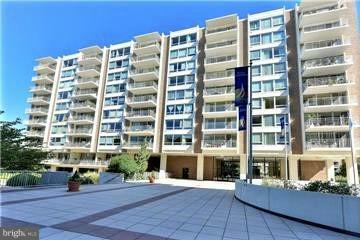 Condo fee includes all utilities, cable TV, internet! Listing courtesy of Anne Butler Realty Company.